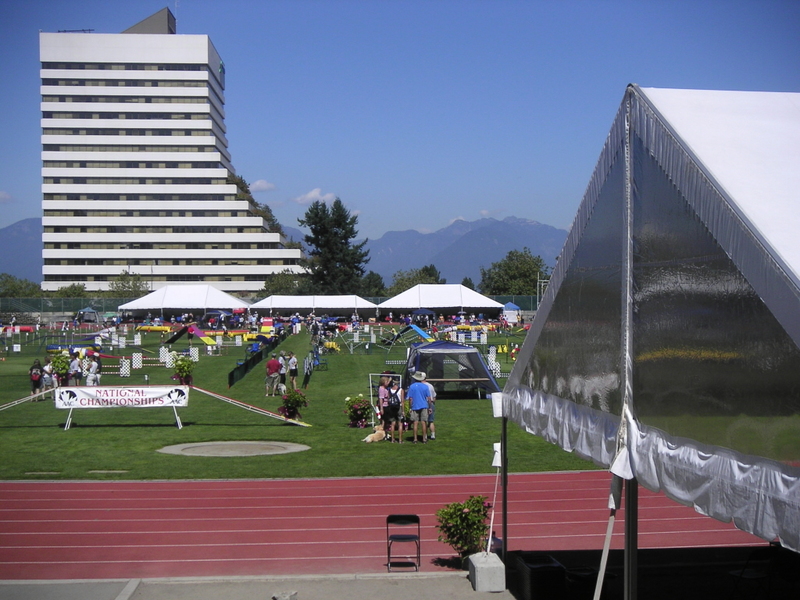 Sitting in a pub in North Vancouver, Nicole LeBlanc postulates the idea of hosting the AAC Nationals. 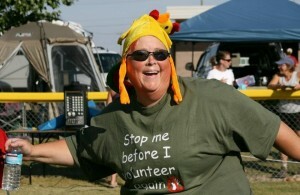 Mike Mastine and myself encourage her and the idea takes hold. 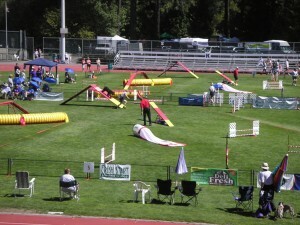 Several other Cliffhangers join us and along with many dog agility enthusiasts/hard working volunteers. 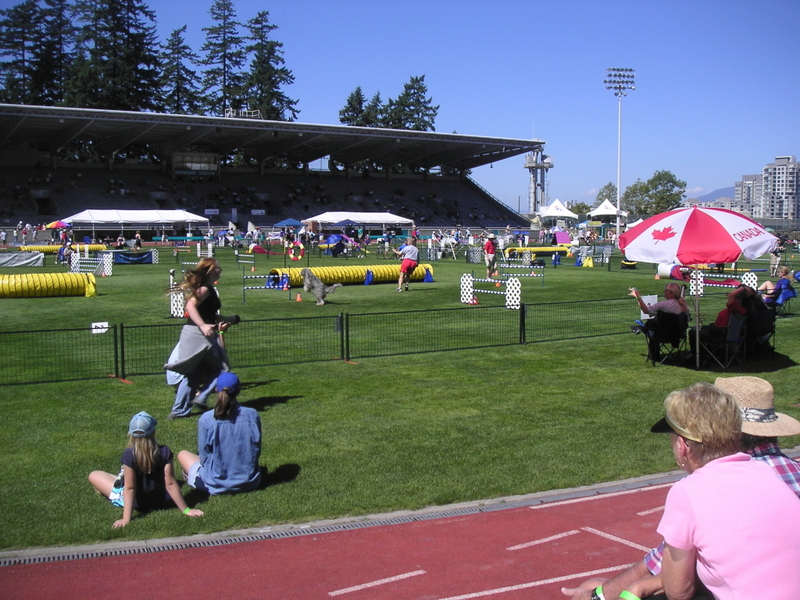 And before long an official bid was given to the AAC Board of Directors and the event is officially announced in Saskatoon at the 2005 AAC National Dog Agility Championship. 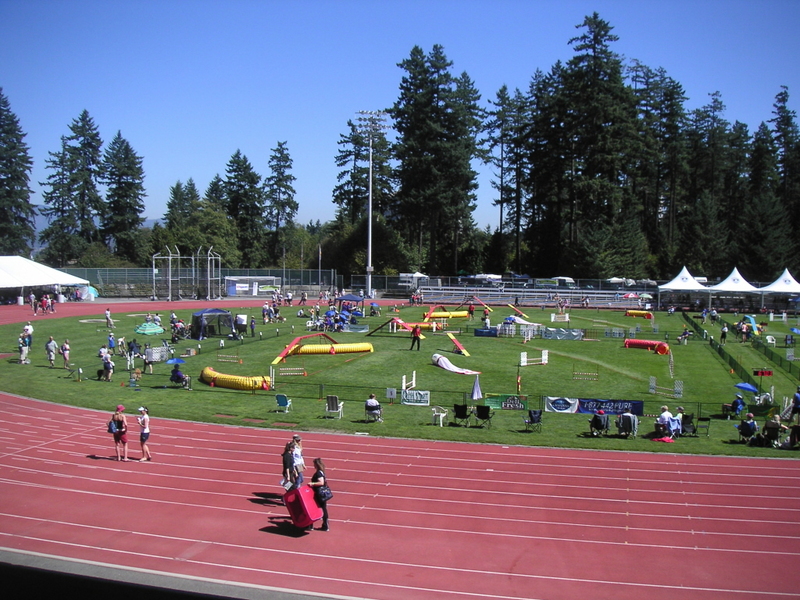 The hard work of two dozen or so volunteers is just the beginning and before long it is 140+ volunteers, including ALL of the K9 Cliffhangers, putting on the event at Swangard Stadium in Burnaby, British Columbia. 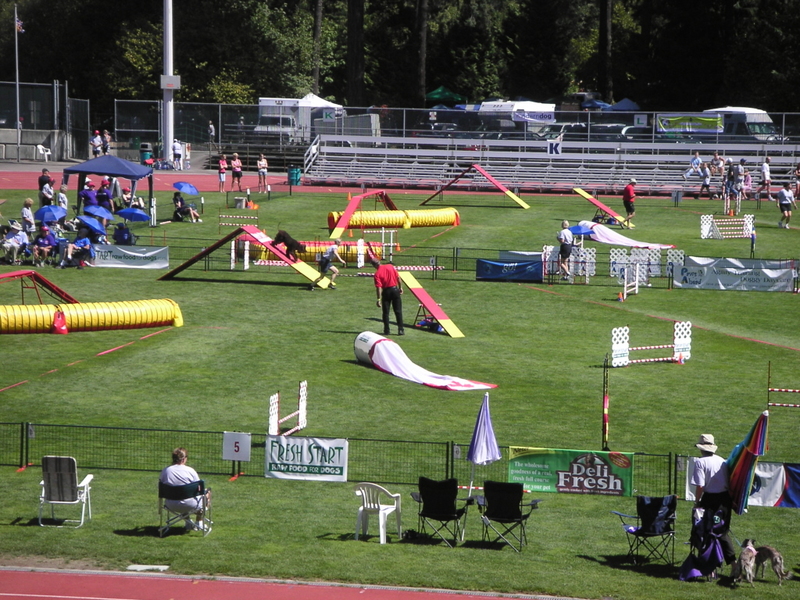 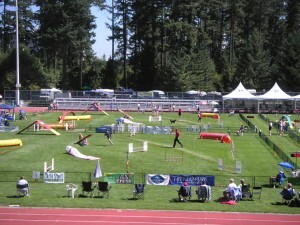 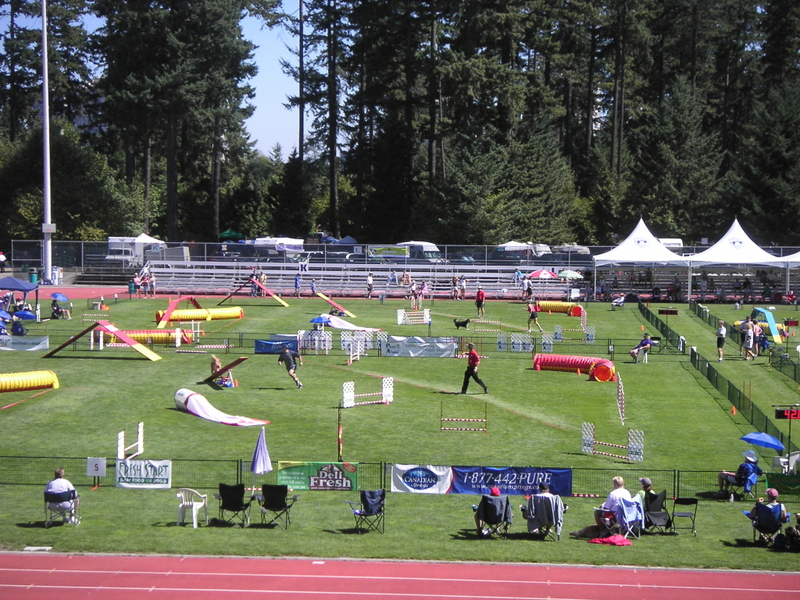 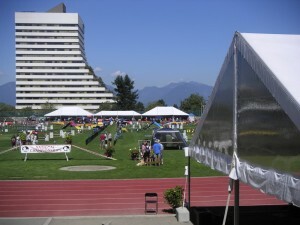 This was the beginning of 6 ring Dog Agility trials in BC and in Canada, with 465 dogs entered in the event. 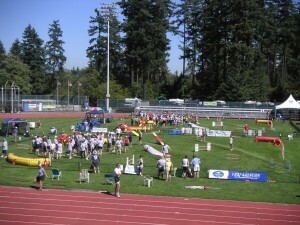 It also marks the beginning of the unofficial Steeplechase runoff. An idea born to give score keepers some peace and privacy while tallying up the scores. 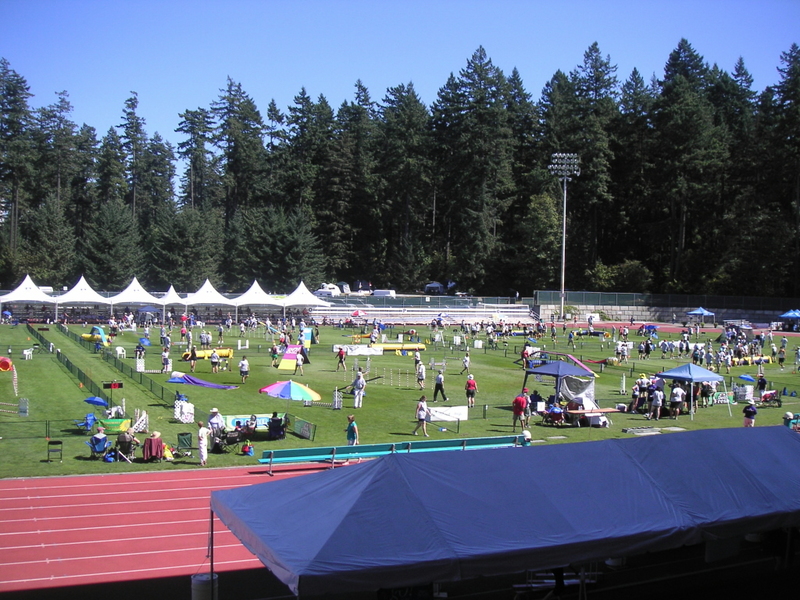 Although I was tucked away in the scoring room, I slipped out once or twice to watch Joanie-Leigh MC’ing the event and all the fans enthusiastically gathered and totally entertained. 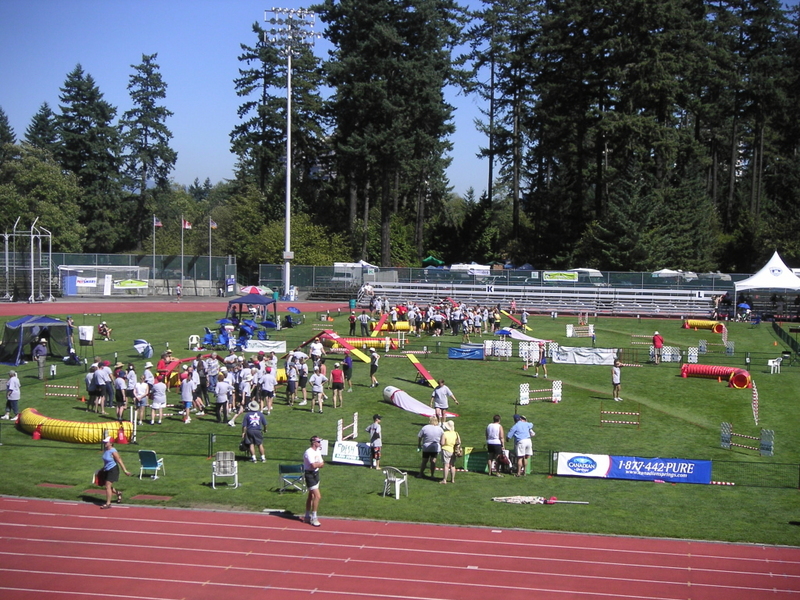 The idea was such a success it has continued to appear at every National event despite the non-sanctioned nature of the final. 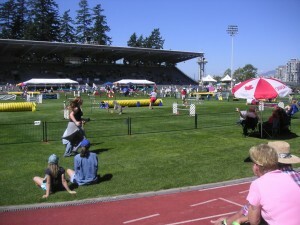 ← Welcome To Our new Home.